That's all folks. We will meet again on Thursday where FC Goa will host Chennaiyin FC. That match will begin at 1930 IST. Till then, take care and cheers! The Club Award goes to Jamshedpur FC as they won the game. The Limitless Player of the Match is awarded to Pablo Morgado. The Winning Pass of the Match is given to Carlos Calvo. The Emerging Player of the Match is Jerry Mawhmingthanga and the Hero of the Match is Michael Soosairaj. First half ended on level terms but the second has given Jamshedpur a historical win. As soon as the second half started, the hosts took control as Michael Soosairaj handed them the lead with a beautiful curling goal. The Miners then kept on attacking and each attack they made turned out to be a goal. Pablo Morgado bagged a brace while Carlos Calvo got his name on the scoresheet as well to make it 5-1 in the blink of an eye. Pablo, in fact, had a golden chance to score a hat-trick but he failed to react in time to a beautiful cross in front of goal that needed a simple tap-in. Bengaluru FC fought hard at the beginning of the game but once the home side took a 4-goal lead by the end of the 61st minute, their misery piled up and they lost hope to make a comeback. 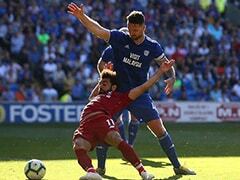 The manager's gamble to give opportunities to the new faces didn't work out well as the Blues succumbed to a heavy defeat. Anyway, the crux of the matter is that Bengaluru FC are still in the semis and this defeat won't bother them much. They would look forward to tidying up their game and show better football in the playoffs. The referee blows the whistle and ends the game. Three minutes of added time signaled. Carlos Calvo puts in a long ball for Michael Soosairaj on the left. He looks to go for the goal on the volley but fails to keep it down. The ball flies high over the bar. Michael Soosairaj is again behind the move. He runs with the ball along the left wing. He though loses control of the ball as it goes to Dhanachandra Singh. Dhanachandra then carries it further into the box and looks to cross it to Pablo Morgado in front of the goal. Pablo though is behind and fails to tap it in. Now it's Bengaluru FC with a substitution. Harmanjot Khabra comes in for Boithang Haokip. The Jamshedpur FC skipper - Tiri goes off the field and Mobashir Rahman comes on. Subrata Paul makes his way out as Rafique Ali comes in. 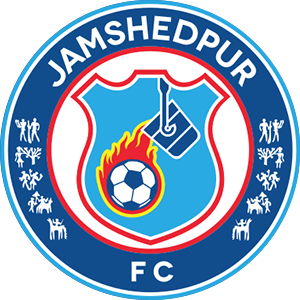 Jamshedpur FC are in a state to experiment and that's what they are doing here. Frustration starting to build in the Bengaluru FC's camp. Edmund Lalrindika tackles Tiri from behind and brings him down. The referee spots it and is unhappy about it. He though leaves Edmund with a warning. This is the last thing Bengaluru FC wanted after going down so miserably. In a bid to win the 50-50 ball, Gursimrat Singh jumps and tries to kick the ball. But he fails to make any contact and the contact he makes is with Pablo Morgado's body. The referee finds it dangerous and has no qualms in flashing the second yellow card. He is off. In the second game running, Bengaluru FC are down to 10 men. It's just raining goals in Bengaluru FC's net. Carlos Calvo scores this time from a free kick. The spot was just outside the box on the right of centre. Calvo calmly shoots a curler towards the near post and the trouble rises for the diving keeper and Bengaluru FC. Jamshedpur FC now have a 4-goal lead. Jamshedpur FC are just getting better with each attack. They have scored their 3rd now in this half, just within 10 minutes of play. Jerry Mawhmingthanga along with the ball in the opposition half pushes it to Pablo Morgado in the box. Pablo is again unmarked and dribbles past the defenders before slotting it home. The table-toppers are now down in sorrow. It's now 2 in a minute for Jamshedpur FC. They have made it a 2-goal cushion just under few minutes. Carlos Calvo crosses to Pablo Morgado in the box. No defender was marking on him and a free header for Pablo. 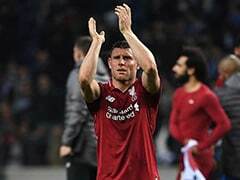 He makes no mistake and heads it on goal and gets his name on the scoresheet. Jamshedpur FC on top of their opposition. Michael Soosairaj pumps up his team with energy, with this goal. Michael's previous attempt from same spot went wide but this time he scores. From the left flank he comes in the box and bends the shot into the top corner of far post. Tiri puts a long ball for Michael Soosairaj, he runs in the box and looks to dribble some defenders before powering the shot. He though loses it cheaply in a sliding challenge. Xisco Hernandez hits the ball in with his left foot. The ball curls and falls towards the far post. Gursimrat Singh jumps and looks to finish with his left but ends up hitting it on side netting. Jamshedpur FC to begin the second half. All square after first 45! A half with two goals due to defensive errors at either side of the pitch. First, it was Jamshedpur FC, in which, Augustin Fernandes was lazy in clearing the ball and served it in the plate for Boithang Haokip and then in an act of redemption, Augustin Fernandes took advantage of the defensive mistake made by Soram Poirei as he slotted the equalizer from a very narrow angle. Overall, Jamshedpur FC had the better possession in the first half but Bengaluru FC looked the most threatening. 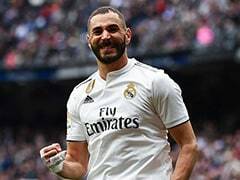 They also won a penalty but Xisco Hernandez failed to convert. We are expecting some cracking action post this break as well. Do join us in a short while. Two minutes of added time is over and we have reached half time in this game. Jamshedpur FC are back in the game right before first half. Augustin Fernandes gets his name on the scoresheet with this goal. Jerry Mawhmingthanga puts in a ball for Dhanachandra Singh in the box. Dhanachandra though loses the ball, it isn't over yet. Soram Poirei fumbles around with the ball as he fails to grab it. And of all, Augustin Fernandes, the defender, is present there like a man standing at the right place at the right time. He dribbles it past the keeper and hits it to the far post to find the back of the net. Jerry Mawhmingthanga throws the ball to Mario Arques along the right wing. Mario gets in the box and puts a half-cross, half-chip on goal. It is been caught by the keeper though. Carlos Calvo is held offside by the linesman. Carlos was too early into the Bengaluru defense and hence was easily spotted by the official. Michael Soosairaj runs deep in the opposition half from the left wing and then cuts into the box. He then shoots a curler towards the far post and the ball just bends beside the sidebar. Would have been a equalizer. Xisco Hernandez takes a long-range effort on goal from outside the box. The ball is though looking to be off target. Subrata Paul still decides to offer a touch and take no risk. Xisco Hernandez has taken the penalty and he takes a soft shot towards the goal. The keeper dives right and saves it. Some luck through the hands of Subrata Paul for Jamshedpur FC. A penalty conceded by Jamshedpur FC. They were already a goal down and now a penalty. Edmund Lalrindika was brought down by Tiri in the box and the referee points to the spot straightaway. Luis Lopez with a chance outside the box. It was though fired by the lad wide of the target. Bengaluru FC have scored one. Semboi Haokip finds the back of the net. Xisco Hernandez puts a long ball for Semboi Haokip who is racing towards the box. Augustin Fernandes is standing in the defensive line to stop that pass but he takes it too casually. Semboi paces in the box, wins the ball and fires. He finds the back of the net as a last surviving slide from Augustin fails to take the ball out. Subrata Paul and Augustin Fernandes pointing fingers at each other. Michael Soosairaj runs deep in the opposition defense along the left wing and looks to cross it for a teammate. Albeit there was no one in the box to head it on goal. Pablo Morgado and Carlos Calvo play a good one-touch passing near the box. They would have done some damage but a slide from Bengaluru FC's defender stops the move. Semboi Haokip pokes an elbow into Tiri's face while receiving a long ball. It has been spotted by the referee and he is awarded a free kick. Karan Amin pushes the ball forward to Jerry Mawhmingthanga who is running along the right flank. Jerry looks to cross but loses the ball cheaply in a sliding challenge with Bengaluru's defender. We're underway! 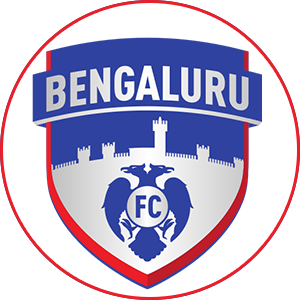 Bengaluru FC will pass the ball behind and start the game. Jamshedpur FC win the toss and they will attack from left to right in the first half. Both teams are out of the tunnel for the Indian National Anthem. Soram Poirei (GK), Sairuat Kima, Rino Anto (C), Gursimrat Singh, Kean Lewis, Luis Lopez, Boithang Haokip, Xisco Hernandez, Ajay Chhetri, Semboi Haokip, Edmund Lalrindika. Subrata Paul (GK), Tiri (C), Dhanachandra Singh, Karan Amin, Augustin Fernandes, Mario Arques, Pablo Morgado, Jerry Mawhmingthanga, Carlos Calvo, Memo, Michael Soosairaj. Match 86 of this year's ISL and this is also the last chance to watch Jamshedpur FC playing this season. It's been a pretty ordinary edition for the home team where they struggled for consistency in their performance. They played out plenty of draws and their inefficiency to close games eventually proved to be their wrongdoing. Now, it's the last chance for them to please their fans by bagging a consolation win over the league toppers. Bengaluru FC, on the other hand, would also be looking to build on their previous win and enter into the playoffs with good positive momentum. The Blues were experiencing a dip in their form post the winter break but then they managed to arrest that fall with a heroic performance against FC Goa. The fact that they outclassed the Gaurs with 10 men speaks volumes about their potential and to add to that, they were playing without a few star players. All in all, Bengaluru will be high on confidence and would aim to steamroll the Miners in their last league game. It ended 2-2 earlier this season between these two teams and let's hope for a winner this evening.